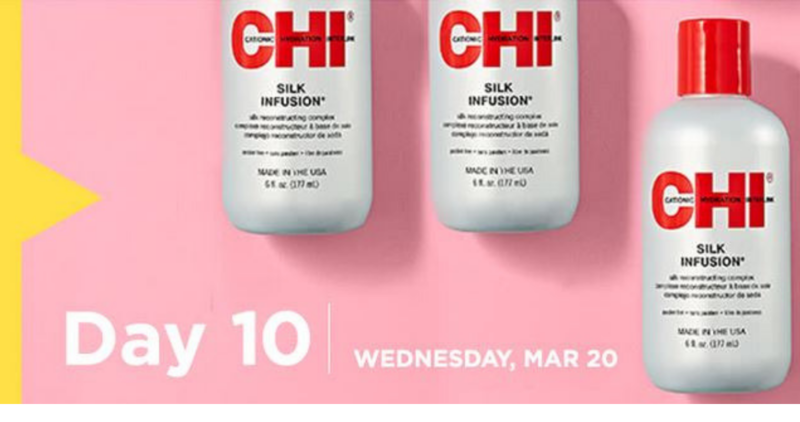 Today only, you can grab this highly rated bottle of CHI Silk Infusion Silk Reconstruction Complete from JCPenny for just $11.99 (reg. $29.48)! Plus, add in code 4TOSAVE at checkout to get an extra 20% off, makes it just $10.19! This is part of JCPenny’s 14 Days of Beauty Event, both in-store and online. Every day through 3/25 they will have a different beauty item on sale. This deal is for today only, 3/20.